When EA and DICE released a new-look, reboot of Star Wars Battlefront in 2015, it sold quite well, and it was liked by critics, too. However, for a lot of shooter fans, or even Star Wars fanatics, Star Wars Battlefront was a disappointment. Whether it’s the wafer-thin progression system, Heroes and vehicles only obtainable by jostling with other teammates to pick them up, Battlefront was OK, but there was a lot that needed to be improved. Enter: Star Wars Battlefront II. Developer DICE seems to have taken almost all the complaints to heart and made a conscious effort to make sure Battlefront II doesn’t fall into the same quagmire that its predecessor did. Meatier progression and unlocks? Check. More maps? Check. Proper space battles? Check. Based on what we played on the beta, this is the Star Wars Battlefront game that should have come out in 2015, but it’s better late than never, right? What makes Battlefront II different from the 2015 version when it comes to core gameplay mechanics are the classes that the game now employs. Gone are the super tight focus on Star Cards (more on that later), but instead, each class has specific abilities, and class-specific weaponry. Now, players can choose to be an Assault (someone at the frontlines), a Heavy (tank), an Officer (can deploy turrets, buff teammates), or a Specialist (sniper, recon). Don’t expect medics, or any Battlefield-like abilities though. Battlefront II focuses on combat, and the classes are slanted in that direction for better or worse. In the beta, all the classes are getting some serious play time from players based on what I’ve seen so far — expect for the Officer class, who’s clearly in need of a buff. The Officer’s turrets don’t do enough damage, nor is his buff enough of a payoff in place of the other special abilities the other classes have. Overall, though, the class system is loads better than having none at all. 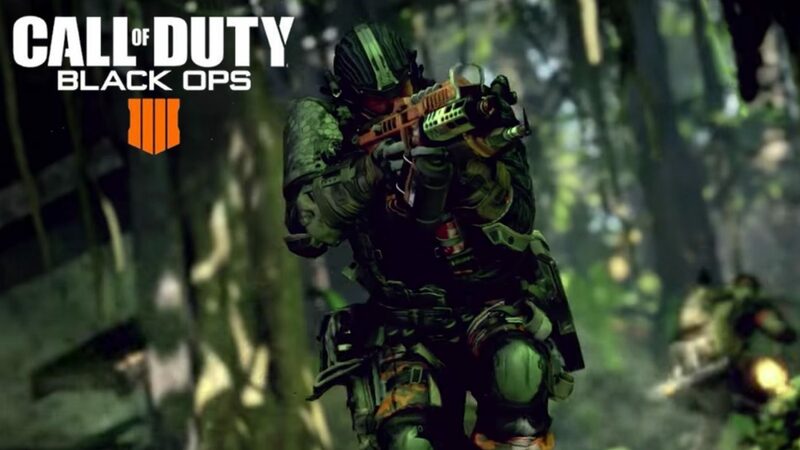 It gives the game a more focused multiplayer experience, and an actual identity to what it is. 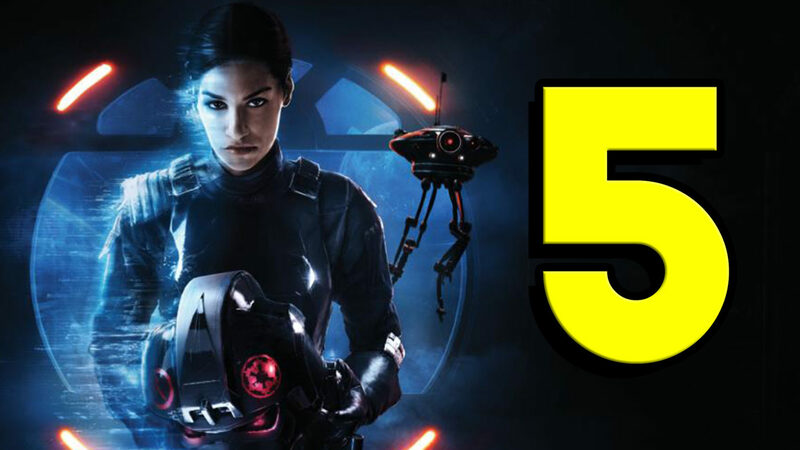 It remains to be seen whether fans will embrace this major change in the gameplay, but so far so good, DICE seems to be headed in the right direction. In the Star Wars Battlefront II beta, there are three multiplayer game modes to try (not counting Arcade) they are: Galactic Assault, Starfighter Assault and Strike. Out of the three, the bread and butter mode is Galactic Assault; it’s a 40-player, multi-objective mode that showcases what the game has on offer (think of it as a smaller scale version of Battlefield 1’s Operations). 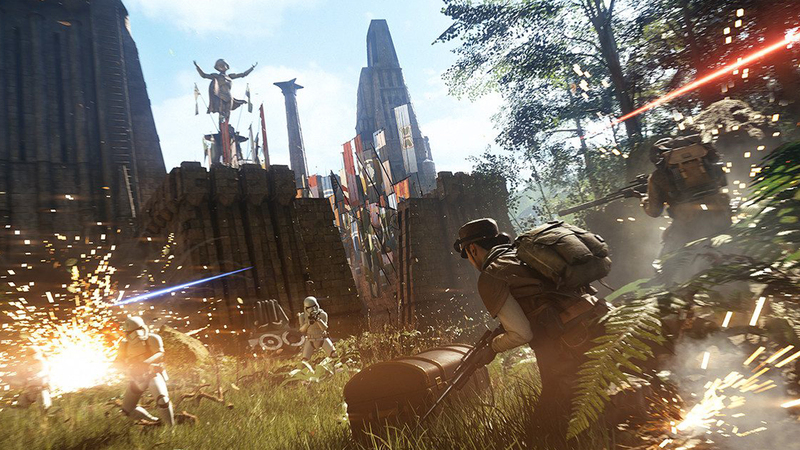 Expect vehicles, Heroes, and all the chaos that only DICE’s brand of multiplayer delivers. In my time in the beta, Galactic Assault has been my favorite mode to play so far. Not only can you use each class to their fullest, but it also gives everyone a sense of purpose on what they need to do. Specialists need to mark enemies across the map, Heavy and Assault troops need to be on the frontlines and so on. Both sides seem to be on even ground so far, which is good. Attackers must guard the MTT while it slowly lumbers toward the main structure, while the defenders must damage it as much as they can before the final push in order to stop the attack, or to make sure the “tickets” (number of respawns the enemy team has) is as low as it can be before the pure infantry chaos that follows. Starfighter Assault is the announced space battles mode that has the Milennium Falcon and other noteworthy Star Wars crafts take the battle to the skies (space?). The spacecrafts are easier to control than Battlefield’s air vehicles, and the action is much more frenetic. Strike is the smaller objective-based mode, that sees teams of eight go up against one another. The attacking side must nab the relic, and plant it somewhere in the map, while the defending side must stop them at all costs. Unfortunately, I’ve yet to see the attacking side win a match during my time so far. Nope, I’m not even exaggerating; I’ve literally never seen the attackers plant the bomb or whatever it is and win. There’s some obvious balance changes that needs to be made here that I’m hopeful DICE is aware based on their data. While the Battlefront II beta has been a fantastic experience so far, there are a few things that need to be changed. One of them is the squad system and how it works. I’ve already reached the level cap of 10 in the beta, but I still don’t know how to spawn in squads, how to choose where to spawn (or whom) and so on. Adding to the complication is the respawn timer resets the moment you step out of the menu showing it. So say you want to spawn in as an Officer and you see the timer ticking down, but you suddenly remembered that you can spawn in as a a Wookie; well, prepare to see that countdown go back to the start and count back down again. It’s a small thing, but when you’re rushing to aid your comrades, it becomes an annoyance that shouldn’t be there in the first place. Another concern of mine is how Star Cards work. In Battlefront II, players earn a set amount of in-game money that can be used to buy loot crates. These crates include gun attachments, Heroe and soldier abilities, emotes, poses, and more. It’s like the entire progression system of Battlefront II is tied into it, which is a bit worrying given how everything is random. Sure, you can “scrap” whatever doubles you get, which will let you craft your own gun attachments and weapons, but the chance of it being abused is there for those willing to spend real-life cash. It remains to be seen whether class abilities and progression are all tied into Star Cards or if there’s an actual benefit in leveling each class up aside from earning the ability to equip more Star Cards. Finally, this might be a minor quibble for some, but I absolutely hated how there’s a constant electric “wave” effect on the screen. I first thought it might have been my TV, but checking online, it’s something DICE did to be stylish? I really don’t know, but it’s something that should be up to the player if they want it or not (give us the option to turn it off, DICE!). With DICE making a concerned effort to ensure players will earn and unlock stuff as they play in Battlefront II, the “depth” concern some players had with the first Battlefront should be gone — at least on face value. It remains to be seen whether there’s enough Star Cards, emotes, poses and more to have player grinding away for hours. It’s definitely a step in the right direction, and if DICE can add in more stuff post-launch, expect progression fans to keep on playing. 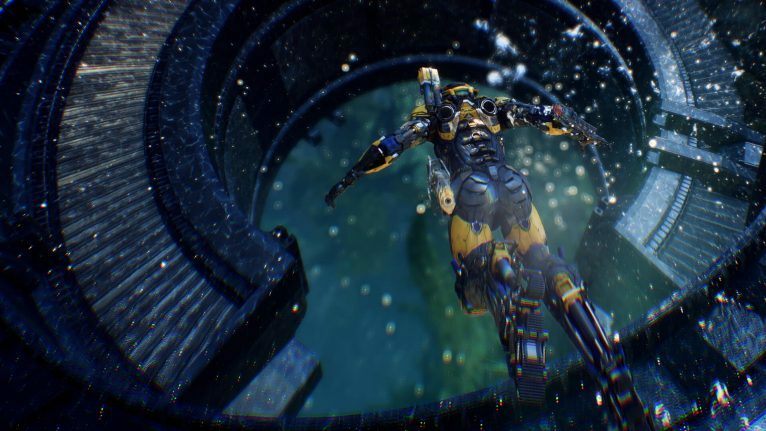 As for the visuals and audio work, it’s the same AAA production values one expects from a DICE-developed game. While the graphics seem to be on par (or in some cases inferior) to the first Battlefront, the audio work is excellent. Expect to hear the familiar sound of lasers, explosions and gunfire to blast on your TV’s speakers, headset or audio device. So far so good, DICE seems to be on track to make Star Wars Battlefront II to surpass its predecessor handily. Add in the single-player campaign, and the Arcade mode, it should justify the asking price of $60 for most Star Wars and shooter fans. Let’s hope EA and DICE doesn’t go overboard on the Star Cards and loot crates, and fixes some of the issues that are plaguing the beta. 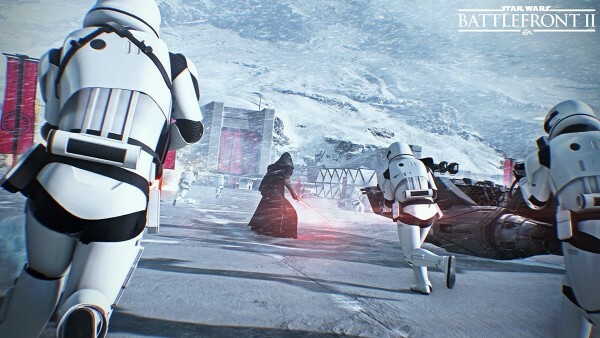 If DICE can iron things out, and have a compelling single-player campaign, and manage to iron out the technical kinks in multiplayer, then fans might be in for the awakening of the Force this November 17 when Star Wars Battlefront II ships for the PlayStation 4, Xbox One and PC. Early access beta code provided by EA and played on PS4. Played for a few hours and reached the beta max cap of level 10.